Mindy Kaling was one of the many guests last night(October 15th) on the grey carpet at ELLE's 25th Annual Women In Hollywood celebration at the Four Seasons Hotel in LA. Rocking a PRE-FALL 2018 look, she wore a FENDI long sleeve navy velvet, knee length dress with cold-shoulder, a layered v-neckline, pompom's on the shoulders and contrasting white cuffs. Mindy's dress was clearly altered from the look book version. I really like the fitted, knee length skirt over the flare midi skirt but the bodice looks ill-fitting. Also the black CASADEI pumps are cute but shouldn't have been an option here. However I love her beauty look. 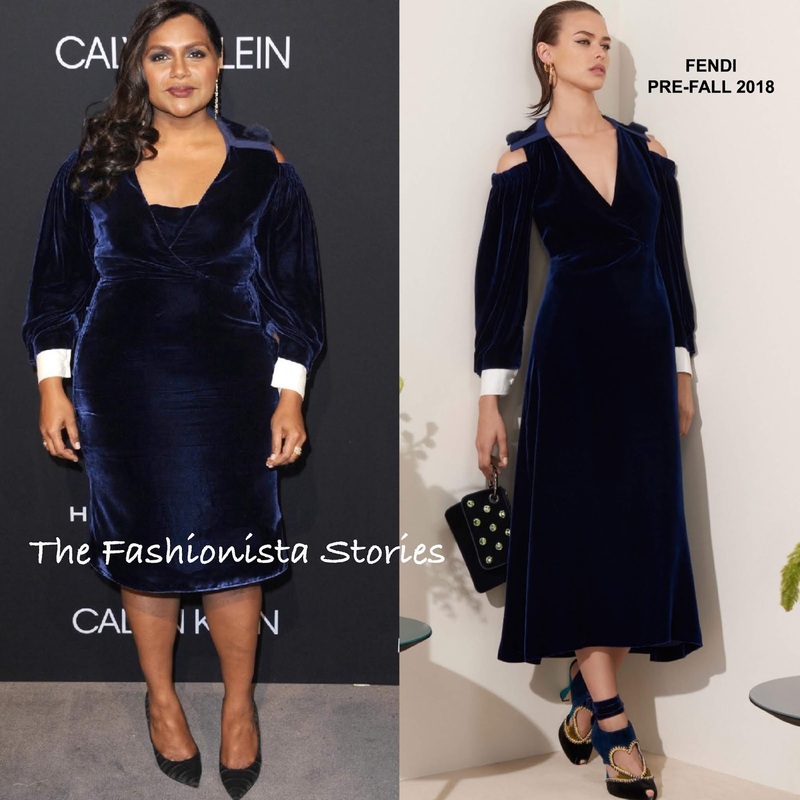 Did Mindy sell you on her version of this Fendi dress?